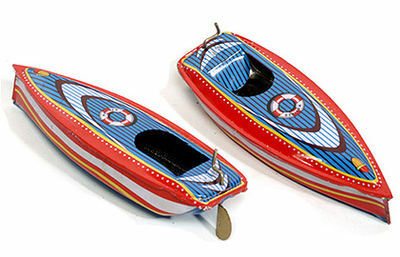 Super Cruiser Pop Pop Boat. A detailed boat with rudder. An amazing, Lithographed Boat, very well made and detailed. Complete with Fuel Holder, Candles, and Priming Dropper.